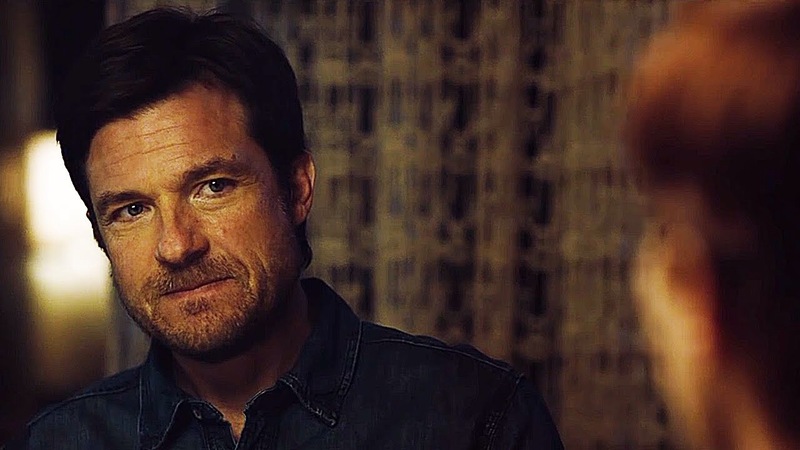 Starring: Jason Bateman, Joel Edgerton, Rebecca Hall, Allison Tolman, Tim Griffin, Busy Philipps, Adam Lazarre-White, Beau Knapp, Wendell Pierce, P.J. Byrne, Mirrah Foulkes, David Denman, Katie Aselton, Nash Edgerton. 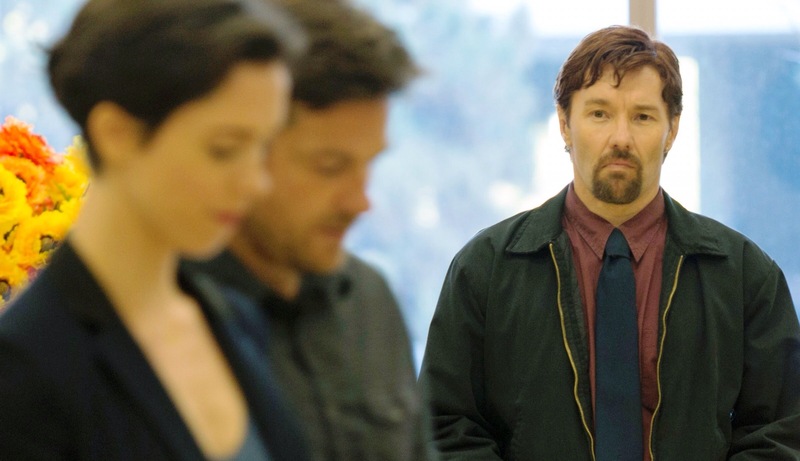 Is there no end to Joel Edgerton’s abilities? Although he’d been involved in projects before, it’s probably fair to say that it wasn’t until David Michôd’s Animal Kingdom in 2010 that opportunities began to really open up for him. He’s since went on to work with Kathryn Bigelow, Baz Luhrmann and Ridley Scott, while also penning Michôd’s impressive second feature The Rover. Now he makes his own feature length directorial debut and it would seem that we have much more to see from Edgerton’s talents. Simon (Jason Bateman) and Robyn (Rebecca Hall) are a young married couple leading a comfortable lifestyle. 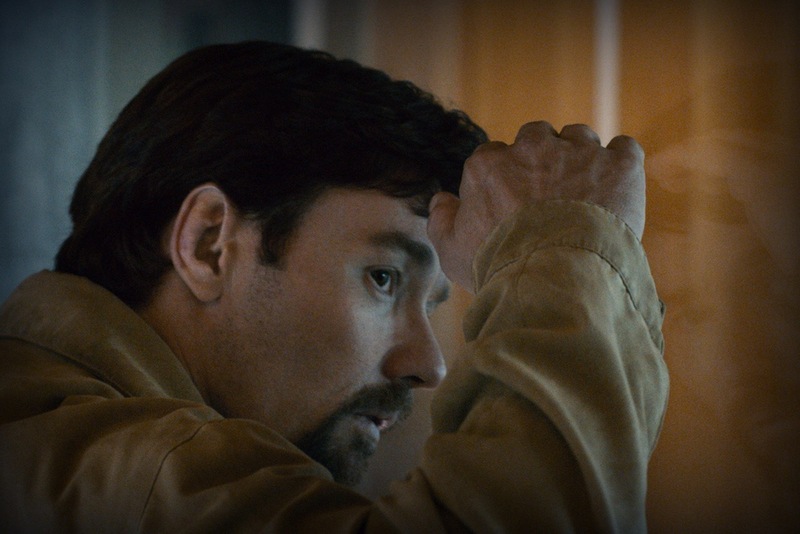 Out of the blue, they meet Gordo (Joel Edgerton) an old high-school acquaintance of Simon’s who begins to make uninvited appearances at their house and always comes bearing gifts. Simon and Robyn begin to question his motives but Gordo’s motives are not the only ones in need of questioning. 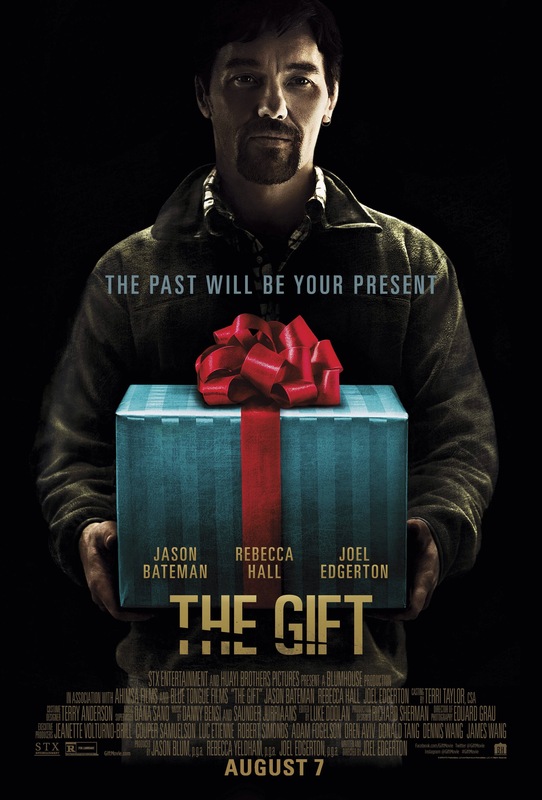 When you consider the plot or concept of Edgerton’s The Gift, you may be reminded of previous stalker thrillers like The Hand that Rocks the Cradle or Cape Fear. On the surface, it does share some similarities with these films but Edgerton manages to put his own spin on the proceedings. The film starts with the conventional creepy stalker tropes but it soon resists these conventions by throwing in some unexpected plot developments which turn the narrative on it’s head. Edgerton wisely shows restraint and plays events down by employing a low-key edge and a deliberate pace. He’s in no rush to jump into any revelations and the character arcs are given time to play out which only adds to the tension and suitably unsettling atmosphere. Trivia: As he wanted to focus on directing, Edgerton filmed his own scenes as Gordo two weeks into shooting and completed them in seven days. This entry was posted on October 27, 2015 at 4:50 pm and is filed under Horror, Mystery, thriller with tags 2015. You can follow any responses to this entry through the RSS 2.0 feed. You can leave a response, or trackback from your own site. Marvellous post Mark, looks really intense and twisted. It’s a solid little thriller, Vinnie. I like it quite a bit. I do love a good thriller, though spy movies rank a bit higher for me. To each their own, man. I enjoy a good spy thriller too but I’m more drawn to the darker side of thrillers. Dark thrillers are a winner with me as well, Seven is a definitive example. Seven is probably the definitive for me! It’s a masterpiece. Everything comes together in the film from the acting, to the visual style. Couldn’t agree more. The performances are superb and the whole film just oozes depravity. It’s and unforgettably uncomfortable experience. Unforgettably uncomfortable, I like that description. I’m a really big fan of this one. Edgerton really knows how to handle his material. Hungry to see this one again. It was a good flick, man. I was very impressed with Edgerton’s handling and the performances were great. This looks promising for Edgerton’s directorial future. No! You have your own show to run. I’m the daddy around here. Be gone with your heavy handed opinions. 😉 Lol. I jest, of course. Your opinion is always welcome around here. 5 stars eh? Now that’s high praise. I wouldn’t say you were wrong, though. It’s a very well made flick and maybe on another viewing I might well even rate it higher. Still a 7 out of 10 is still a good rating. Eager to see what Edgerton does next. I haven’t came across any negativity on it. Probably because it’s hard to criticise such a well made film. It’s seem to have struck a chord. Surprised the heck out of me. Except not that ending. I called that from the very minute. Nice review Mark. I have to admit, I never twigged on the ending till late on. I eventually got it but not too early even though the signs were there. Good film and I’m interested in where Edgerton goes from here. Ah you watched it! If I was rating I’d also go with a 3.5. Edgerton really is a talented guy; I wonder what his forte is; will he ever be able to become the writer/director/actor he could be if he’s concentrating on all three disciplines equally? I didn’t really talk about Bateman in my review but I agree with what you say about him. Pretty good all round! To be fair, although I liked The Rover I wasn’t all that taken with Edgerton’s script. I found it lacking a certain something but the film’s grittiness and style won me over. For sure he’s a good actor and it would seem a fine director. Who knows where he goes from here but it’ll be interesting. As for Bateman, his performance surprised me the most. I thought he was very good and a long shot from his previous comedic roles. 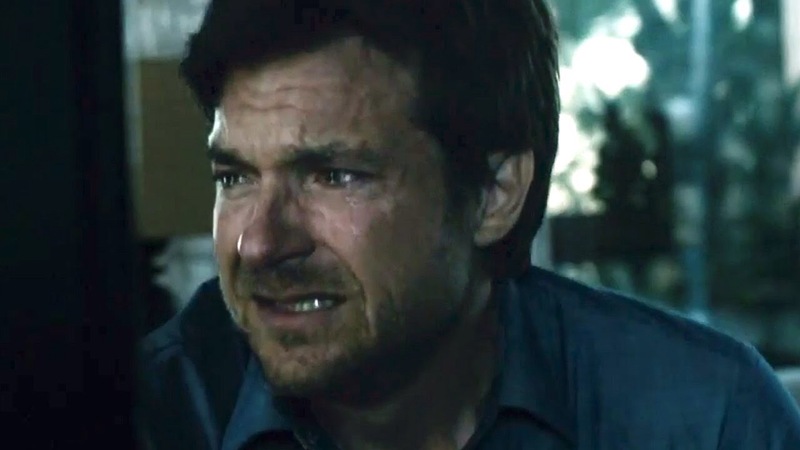 Yeah, I didn’t really mention Bateman much in my review but it did surprise me, although enough actors move from comedy to serious drama or whatever so I don’t know why I didn’t think he was capable of it. Same here. Bateman shouldn’t have been surprising going by the good record of transition from comedy to drama from many actors but he still took me aback. This one did not initially interest me but after reading a few reviews like this one, I’m curious. It’s well worth a shot, Jay. A tightly constructed little thriller. The best of its kind I’ve seen in a while. I am so annoyed I missed this in the cinema! It’s good stuff Abbi. If anything, it’ll probably play better on a small screen. Don’t be too disheartened. Oh man, I’ve read so many strong reviews of this I really need to see it now. Wonderful write up from one Mark to another. It’s worth a shot, bud! Edgerton shows good promise as a director and the strong reviews you’ve read are there for many good reasons. It could have been a little more tense. I agree, man. That said, it’s still an impressive debut from Edgerton. I’m now hoping to catch Felony – which I believe he wrote as well as acted in? Ha! You have a best Aussie accent? I have a best Scottish accent too. Believe it or not, it’s Johnny Depp in Finding Neverland. It’s been a while and my mind may change next time I see it but I remember his Scottish accent being spot on. It’s bizarre why we hold these memories. Anyway, I’ll let you know what I think of Felony. Looking forward to it. I watched this last week and thought it was pretty good. If anything – Edgerton was the only thing that bothered me… great stuff, amigo! A decent flick, amigo. You weren’t keen on Edgerton? I thought he was great, man.